The Central Arcaeological Council decided that heavy machinery and a large crew would risk the site. It could have been fascinating. A key sequence in a thrilling spy series, one of the most anticipated of the next season, set against one of the most breathtaking, mystical archaeological sites in Greece. The series is ‘The Little Drummer Girl’, a BBC production of the acclaimed spy novel by John le Carré, directed by Korean filmmaker Park Chan-wook (of the ‘Oldboy’ fame). 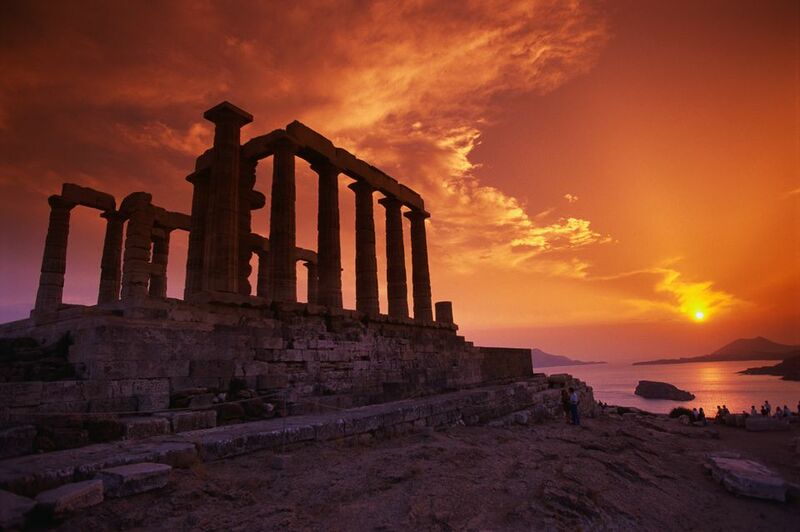 The site is the temple of Poseidon at Cape Sounio, a location specifically coveted by Park, who is familiar with its unique image. But the shooting was not meant to be, as the request was turned down by the Central Archaeological Council, on the grounds that this would hamper the normal operation of the site, which is one of the most popular destinations for tourists. The shooting was to take place from 7am to 7pm on Thursday 12 April. At this time of year, the temple is visited by up to 1,000 people per day, who would be obstructed if the shooting took place, argued the Council. Furthermore, the fact that a crew of up to 120 people operating filming machinery would also cause obstructions to the site. Some members of the council counter-proposed to break shooting into two days, possibly outside visiting hours, while one member was reported arguing that a spy series is not suitable for the site. The representatives of the production company offered to remunerate visitors who would be put off by the presence of the cast and crew, but to no avail. Starring Florence Pugh, Michael Shannon and Alexander Skarsgard, the BBC series is the second treatment of the novel, after the 1984 film starring Dianne Keaton, Claus Kinski and Yorgo Voyagis. Despite failing to secure the Temple of Poseidon, the producers have already secured filming on the Acropolis, at a time when the site will be closed to the public.